AcroYoga 2 Hour Master Class!! 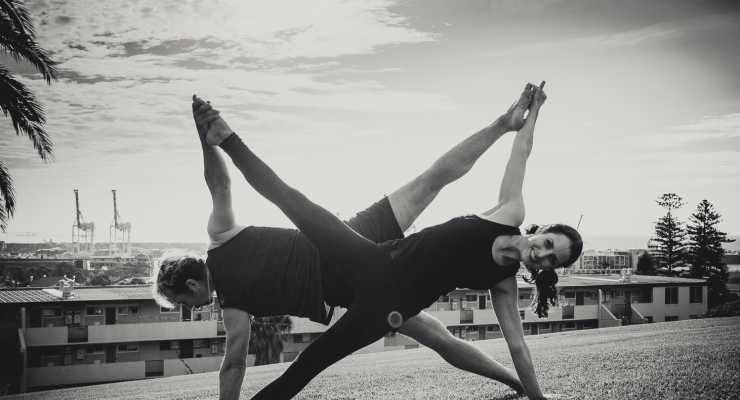 Come and ignite your spirit in this special one off 2 hour acroyoga master class!! Suitable for all levels both experienced and beginners are welcome. Don’t miss this wonderful chance to elevate your practice and experience the powerful fun and healing qualities of AcroYoga. We will be working on Core conditioning involving solo and partner moves and then moving towards the foundational and technical aspects of acroyoga delving into creative play with an exploration involving creative transitions. Students progress at their own level and partners can be changed around to enhance skills and also get to know everyone in the group. No prior knowledge is necessary.